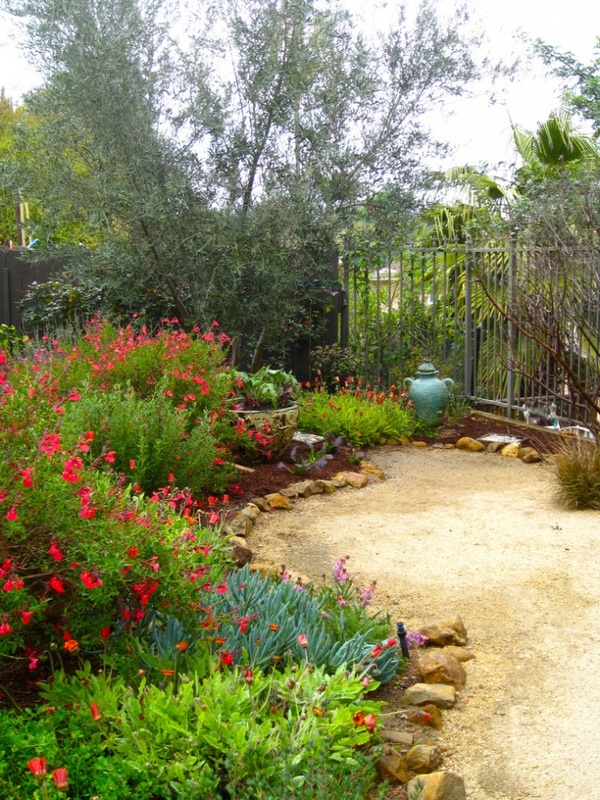 This small Mediterranean garden landscape consists of several vibrant flowers which makes the garden look colorful. 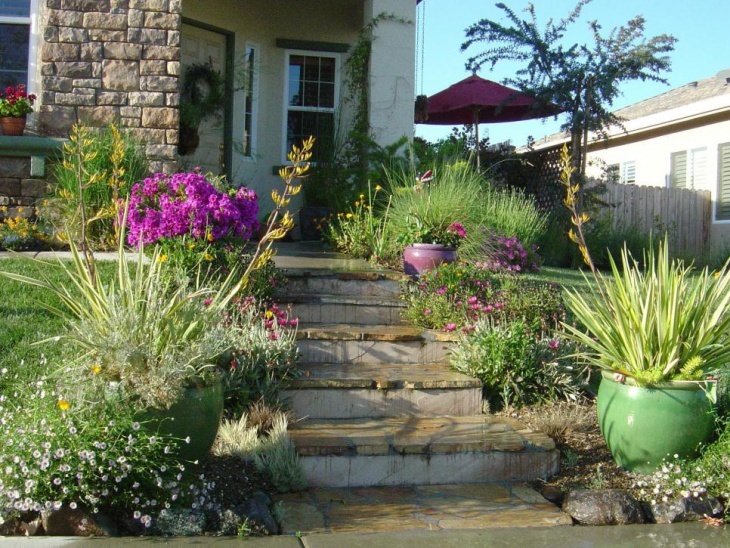 Surrounded with pebbles and rocks, this is a natural style garden with native California plants. The landscape is full of colorful plantations and because of that it allows a lot of fresh air in. 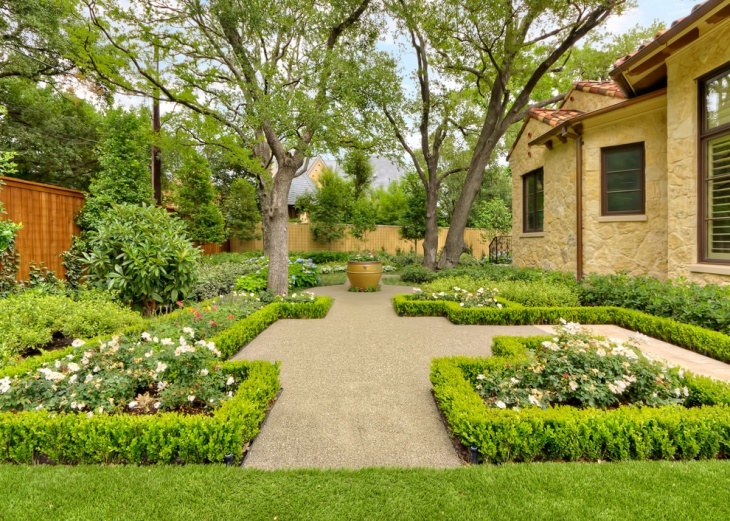 This modern Mediterranean landscape garden has a pathway in the center and the garden has been neatly planted with several shrubs and herbs. 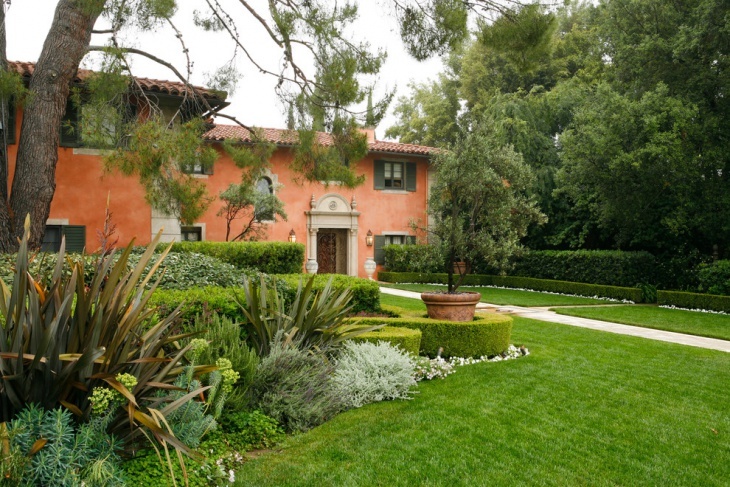 The color of the house is brick red which matches beautifully with the garden. 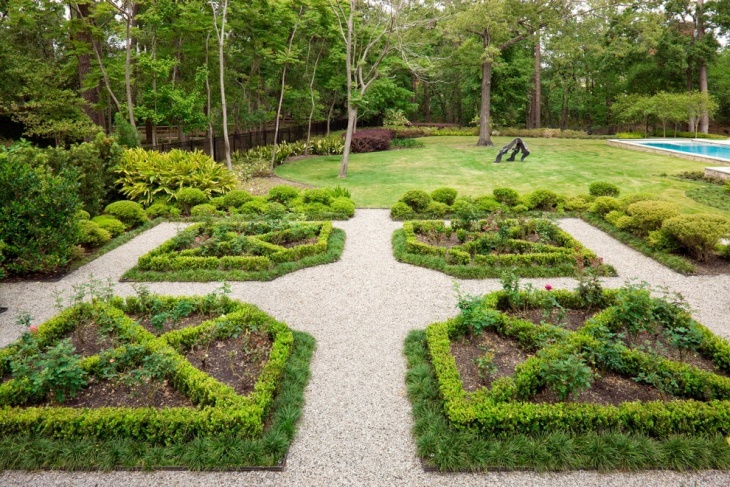 This Mediterranean garden landscape has a neatly trimmed pattern with square shape cuts and contains cross shape designs in it. This landscape contains a lot of greenery with several wild trees and a large garden next to the pool. 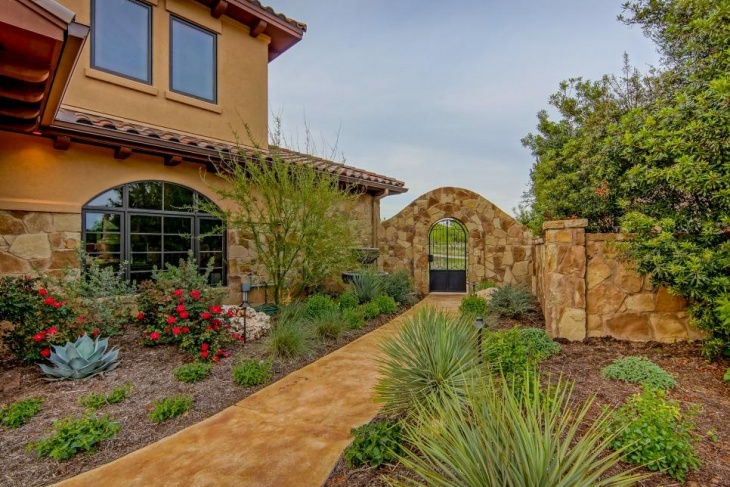 This Mediterranean style patio features several flowers planted in the backyard. 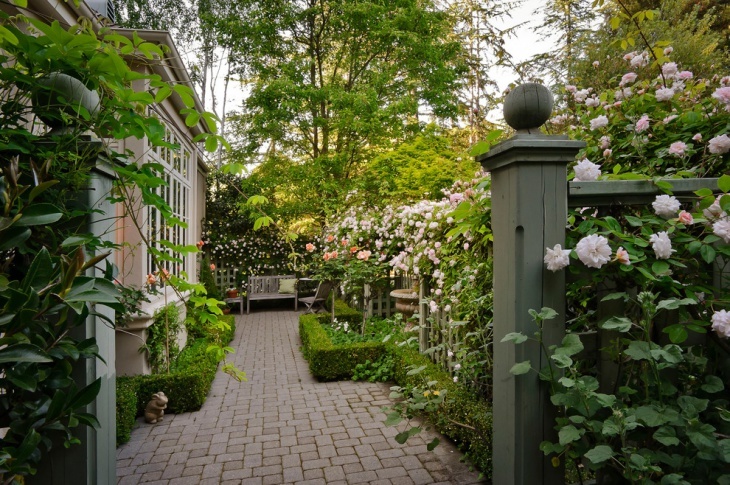 It is a beautiful garden with green clipped hedges around the walkway. This courtyard garden allows a lot of natural air and greenery inside the landscape. 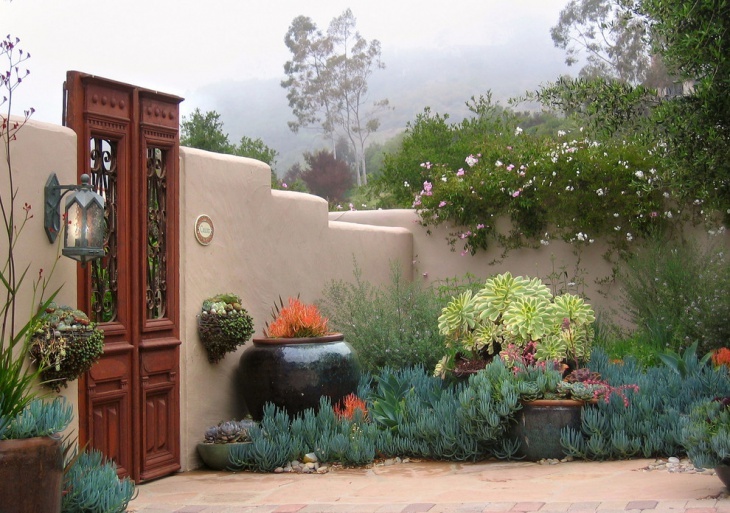 This beautiful front yard garden made in Mediterranean style is lush and awesome. It has several colorful flowers and is right outside the house wall gate. 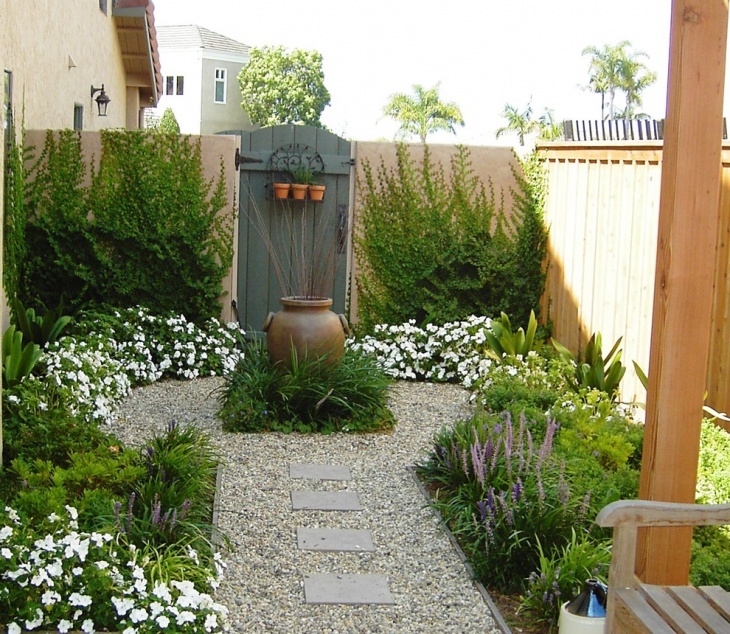 This is an open concept garden and contains unusual flowers and shrubs. This is a vegetable garden built in Mediterranean style having rectangular blocks of gardens and includes veggies like lettuce, jasmine vines, grape stake fence etc. 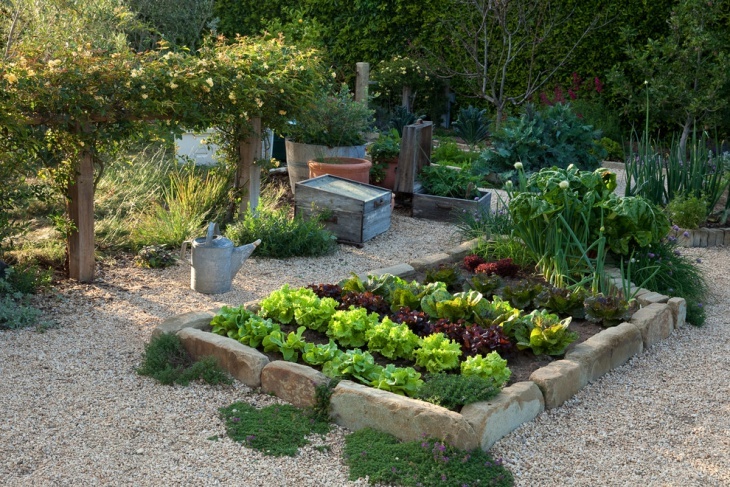 This is a rustic style garden with loads of fresh flowers and vegetables that have been neatly landscaped. This is a beautiful Mediterranean herb garden with loads of colorful plantations and container pots as well. 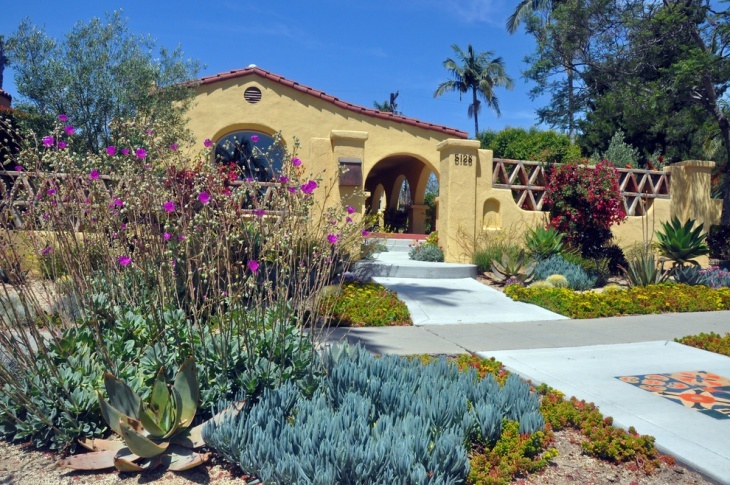 It features several distinct plants with succulent gardens and pottery plants. A garden is almost incomplete without the right garden furniture. This succulent lush green garden is complete with a proper furniture including sofas that have been placed in the opposite direction along with the center table. It looks like the perfect place for families to spend some time nurturing one’s self. 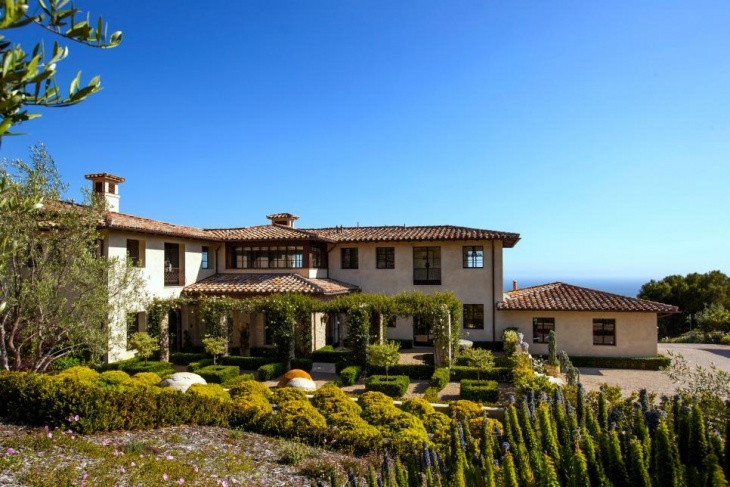 This simple Mediterranean garden is huge and spacious. It has a luxurious design and features traditional rustic colors that go well with the colorful garden plants and flowers. It features stone engraved wall and has a round shaped black intricate design gate inside. The sideways are enriched with lush greenery and rich flora and fauna. 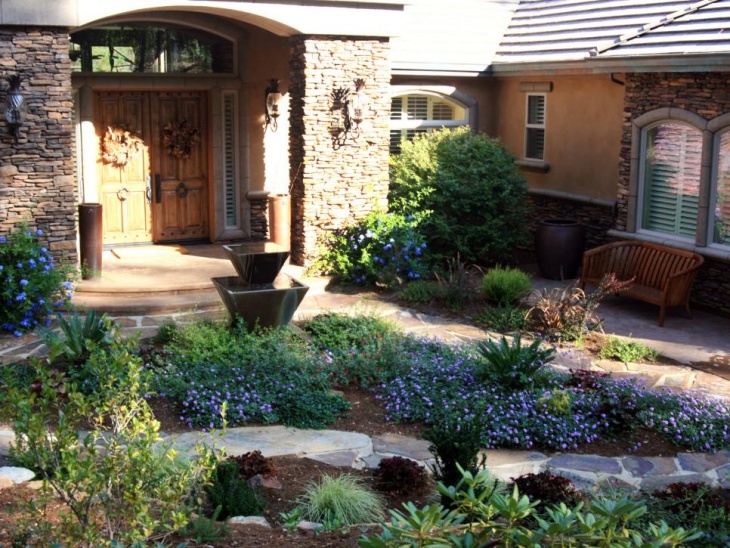 Mediterranean garden designs are known for their luxurious style. 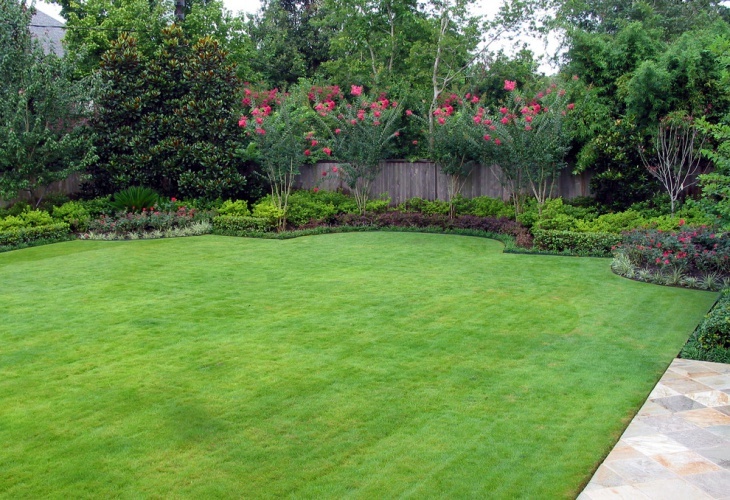 They feature several distinct categories of plants, flowers and greens. 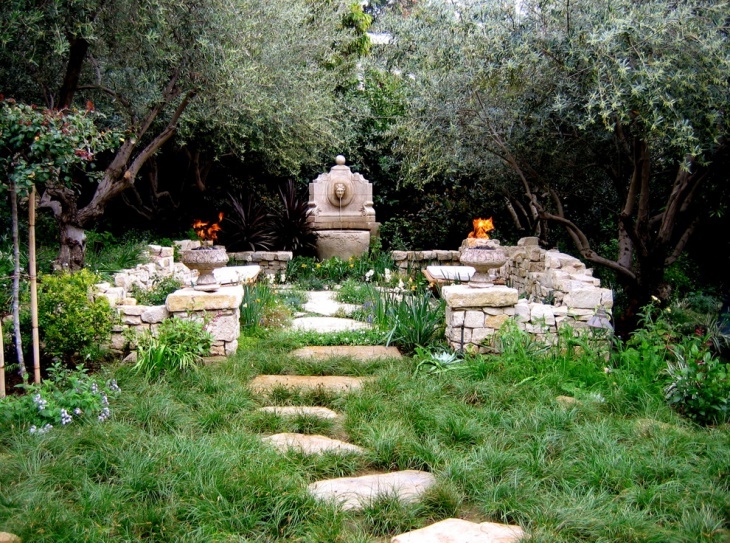 There are several designs and twists to the Mediterranean garden designs which are old and traditionally original. Nowadays, Mediterranean design is combined with modern ideas to give it all a new look. A true blue Mediterranean garden requires certain types of plants to be used in the garden. The above design ideas can give you a picture on how you can design your own landscape garden with a Mediterranean touch also having modern ideas combined together.